Is this Moscoso’s time on home soil? Hello Racquetball Fans; it is a historic week for professional racquetball as the first ever pro tournament is being held in Racquetball-mad Raquet Bolivia. 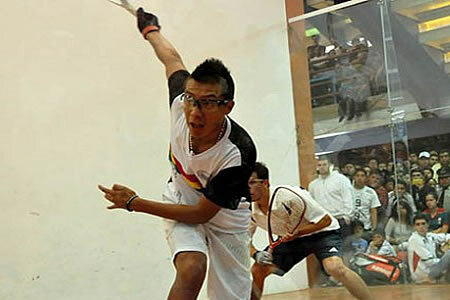 Bolivian racquetball burst onto the scenes internationally in 2010, when Ricardo Monroy won the 2010 Pan American Racquetball Championships (PARC) topping the #1, #2 and #4 seeds along the way. Fellow Bolivians Luis Conrrado Moscoso Serrudo and Carlos Keller Vargas have since followed-up with significant international results on the Men’s side, with Keller taking the 2018 PARCs and a young Moscoso making the 2014 Worlds final, losing to Rocky Carson. On the Women’s pro side, Bolivian Trail-blazers such as Yazmine Sabja Ráquetbol, Carola Loma and Jenny Daza Navia have made finals of international events for a decade, but have yet to push through with a major adult international victory. In the mean-time, the Bolivian juniors are starting to dominate; Bolivians took the 14U and 16U titles at last year’s World Juniors (Luis Antonio Aguilar and Diego Garcia Quispe respectively), and both Bolivian 18U players made the semis before losing to the eventual Mexican finalists. It was a similar story on the Girls side, with Valeria Centellas taking the 16U title while simultaneously holding the World Adult Doubles title with Sabja from last summer. Bolivian junior girls have won 11 world junior titles in the last 5 years, more than any other country. And now, with the first ever pro stop in Bolivia, nearly every player just mentioned is playing, along with a good collection of traveling IRT and LPRT regulars. In addition, we get a few South American regular internationals plus a good chunk of the Guatemalans who were in Chicago two weeks ago. All told; this tournament has a reported 359 total participants, including equally massive Men’s Skill divisions and a ton of juniors playing. Bravo to the community to make this such a huge hit. Lets get to the draws. On the IRT side; half the current top 10 did not make the trip; Kane Waselenchuk could have basically sewn up the 2018-19 IRT title with a win in Cochabamba but chose to stay with family. Daniel De La Rosa, Samuel Murray, Sebastian Franco and Jose Diaz also miss the event out of the current IRT top 10, leaving a relatively wide-open field and a pretty solid opportunity for Carson in particular to put himself back in the driver’s seat for the year end IRT title. Rocky will return to #1 with at least a finals appearance, and DLR likely drops to 6th on the season with little chance of getting back into the top 4. None the less, there’s a massive 40-person draw that’s about half Bolivian locals, half traveling pros. Oddly, despite this being a “Grand Slam” the top 8 qualified into the 16s, meaning the typical huge advantage over the locals. Lets see how it affects the Bolivian dark horses. – #24 Carlos Keller Vargas vs Gerson Miranda: tough first match for both players. Keller (as noted above) is a PARC champ and a regular Bolivian national team representative, while Miranda is one of the top juniors in the country, representing Bolivia at World Juniors last November and losing in the semis in his age 17 season. Keller likely takes this, but Miranda is a name to watch going forward internationally. – #23 Conrrado Moscoso vs Fernando Ruiz Michel: the other member of Bolivia’s 2018 18U team ironically faces off against the other regular member of Bolivia’s adult national team. I really wanted both Miranda and Ruiz Michel to have shots at traveling IRT players instead of being eliminated by the two Bolivian nationals who i think can make serious noise in this event, but the draw was not favorable to the juniors here. – #16/#17 MoMo Zelada vs Kadim Carrasco; Another regular member of the Bolivian adult team, Carrasco has some serious power, and has a long history of traveling to the states for pro events. However, Maryland resident and Bolivian native Zelada is no slouch and should handle Carrasco here. – #9 Thomas Carter vs #24 Keller Vargas: Carter’s the highest player to not get a bye and it catches him here, having to face the former Pan Am champ on home soil. – #12 Robert Collins vs #21 Edwin Galicia; Collins should be able to handle the Guatemalan here to advance to the main draw. – #23 Moscoso vs #10 Felipe Camacho; they’ve met twice in international competitions, both easy Conrrado wins. Moscoso advances with eyes on making a deep run in this event. – #1 Carson takes on Zelada, a match between two almost identical game styles. Both play focused, tactical racquetball with thought put into every service choice. Unfortunately for Zelada, Carson is the best at it and advances in two straight. – #8 Jake Bredenbeck continues to struggle on the season by running into Bolivian international Keller Vargas at this juncture and loses in two straight. This may be an upset by seed, but not by world power ranking, as Keller has more than a few wins over top IRT pros. – #5 Mario Mercado dodges the landmines of local players and gets a straight-forward match against #12 Collins. Collins has played well this season but this is a win for Mercado here. – #4 Andree Parrilla faces off against his countryman Eduardo Lalo Portilloand handles him in two, but not before Portillo makes some noise and gives Parrilla a scare. – #3 Alvaro Beltran faces off against #19 Eduardo Garay Rodriguez, formerly from Mexico but now playing out of Cali, Colombia. This is a brutal draw for Beltran, as Garay has multiple wins over top 8 IRT pros and didn’t have to make four flight connections to arrive in Bolivia. I think Beltran can win this, but wouldn’t be surprised if Garay played him lights out. – #6 Rodrigo Montoya celebrates easily his best ever tourney seeding by taking down countryman Gerardo Franco Gonzalez at this juncture. – #7 David Horn is the unlucky seeded player who gets to face Moscoso, who has the talent to make the semis of any IRT event, full draw or not. They’ve met twice; Moscoso beat him in 3 at the 2017 US Open while Horn got him a the 2015 PARCs. I think Moscoso advances on home soil here. – #2 Alex Landa starts his tourney against Bolivian World Junior 16U champ Diego Garcia, who can make some noise but doesn’t have the game to beat Landa at this point in his career. – #1 Carson vs #24 Keller Vargas: they’ve played before internationally, and while Keller can beat some players he’s not going to beat Carson on this day. – #4 Parrilla handles #5 Mercado and continues his relatively easy draw into the semis here. – #6 Montoya takes out whoever advances between Beltran and Garay. If its Beltran, it’ll be the third time they’ve met in the quarters in three months and the first two have been relatively easy Rodrigo wins. If its Garay … Montoya has beaten Garay twice in WRT events in the last couple of years, one of which was a pretty close 11-9 barn burner. – #2 Landa vs Moscoso. Well, here it is. Sudsy Monchik tells me that Moscoso is one of the best in the world and deserves to be mentioned in the same breath as the tier of players just below Kane & Rocky; here’s his chance. Landa has shedded rankings points all season (it was inevitable; with Kane back Landa wasn’t going to win multiple events this season), and will have to really hustle to win here. I’m going to go with my gut and say that Moscoso wins this to advance and firmly cement his place among the game’s elite. – #1 Carson vs #4 Parrilla: Parrilla had the match-winning point on his racquet and skipped the winner before losing 11-10 in Laurel to open this season the last time he played Rocky, and the two times before then Andree beat him. Four of Andree’s five losses this season are to Kane. I think he’s ready to take the next step. I’m going out on a limb here and predicting a Parrilla upset here. – #6 Montoya vs #23 Moscoso. This is a heck of a match. Its also a re-match of a highly anticipated 2018 Worlds quarter final last November won by Montoya in a tiebreaker. Who would take this rematch? I’m tempted to go with Montoya again. But honestly I could see a Moscoso win on home soil in front of a frenzied packed house too, bringing all the energy of an international competition. Final: Moscoso over Parrilla to shock the pro world. If the final comes down to this, its a rematch of a classic 2017 US Open round of 16 match, won by Moscoso 11-8 in the 5th. I can see a similarly close match here. 14 teams battling it out, and a whole slew of interesting teams playing. Beltran is teamed with Landa (not DLR, his regular partner) at #1, Carson is playing with Camacho and seeded 5th, Jake & Horn are seeded #3, the fantastic Bolivian #1 team of Keller & Moscoso is seeded 6th, and the semi-regular team of Parrilla & Montoya (who have more than a few pro titles together) are seeded 2nd. I’m going with Landa/Beltran over Carson/Camacho in one semi, Keller/Moscoso over Parrilla/Montoya in the other, and the Bolivians winning on home soil in the final for a possible double for Moscoso on the weekend. DLR was the big winner on the weekend, taking the singles and mixed doubles titles. Thanks to Vic Leibofsky for loading up all the round robin/preliminary results this year; all the matches are in the above match reports. Top IRT touring pro Daniel De La Rosa took the title, beating defending champ and #1 seeded Robert Sostre in the final. 2018 runner-up Nick Montalbano and reigning 3-wall outdoor champ Luis Luis R Avila were both upset in the quarters. Defending champ Hollie Rae Scott defended her 2018 title in this event in a rematch of last year’s final, again downing 2nd seeded Michelle Herbert in the final. The Men’s pro doubles draw was the biggest of the weekend and saw some of the bigger upsets. 21 teams battled it out in the round robins to advance to the quarter final round, and along the way #2 overall seed Robert Sostre & Freddy Alfredo Benjamin Ramirez (last year’s runner’s up) were eliminated. Also surprisingly eliminated at the RR stage was Rocky Carsonwith partner Alejandro Barcelo, who somehow ended up in a grouping with both the eventual finalists (talk about a “Group of Death”). In the quarters, defending champs and #1 seeds William Rolon and David Blatt were upset by the team of Nick Montalbano and Cliff Swain. Montalbano is the defending Vegas 3-wall singles champ and of course Cliff is Cliff, so this was a heck of a quarter final. They however ended up being no match in the semis for DLR, partnered with fellow racquetball legend Marty Hogan, in a semis match that featured a combined 11 pro IRT year end titles and 134 indoor tournament titles. DLR and Hogan faced a round-robin rematch against Ben Goldberg and Ryan Lopez, who took out outdoor legend Rick Koll and reigning outdoor champion Luis Avila in the semis. In the final, DLR and 61-yr old Hogan were taken out by Goldberg and Lopez 11,9, and the large traveling NY contingency celebrated together. In the RR section, #3 seeded Michelle De La Rosa and partner Regina Franco took time off the Pickleball circuit to blitz their way to a 4-0 RR record, securing a spot in the final. In the semis, defending champs Michelle Herbert & Hollie Scott were ousted by Anita Maldonado and rball legend Rhonda Rajsich. In the final, Maldonado/Rajsich avenged the RR single-game loss to take out the DLR/Franco pairing in two close games 11,13. The De La Rosa’s took out defending champs Sostre & Hebert in the final of a heavily competed draw, where 5 of the 7 matches went tie-breaker and the draw featured a who’s who of the outdoor game today. The #2 seeded team and defending Vegas one-wall mixed title team of Koll & Rajsich was upset in the first round. Excellent weekend for the DLRs; two titles and a final for Daniel, a win and a final for Michelle. Next up: Bolivian Grand Slam! Look for a preview later this week. Hey Pro Racquetball Stats fans! I just wanted to let you know that, due to the demand for the previously hard-to-find report called “Tale of the Tape,” I’ve put a direct link at the very bottom of the main Report Selection page for you to call it yourselves from now on. From the www.proracquetballstats.com home page, select your tour (IRT, LPRT or WRT), then at the very bottom of the list of available reports (but before all the static HTML links) there’s a direct link to the Tale of the Tape. It calls another front end where you can select any two players to generate a Tale of the Tape report. In case you’ve never seen it, its modeled after Boxing preview graphics (hence the name) and has a picture of each player, all the available demographic information I have on them (age, home town, social media links, sponsors, etc), plus Career Won Loss records, # of tourney titles and year end titles, and at the bottom a full detailed match history between them on the tour in question. If I’ve got incorrect data or am missing a picture for a player, please let me know and I’ll update data. enjoy! we’ll be back soon to talk about this coming weekend’s Beach Bash! Beltran will look to make another run to the Finals in Chicago. The International Racquetball Tour is back, and in Chicago for the 34th annual Shamrock Shootout, sponsored by frequent IRT patron KWM Gutterman. Because its Chicago, we get some Midwestern guys entered such as Geoff Goldblatt, Juan Martinez III, Alok Mehta, Ferd Samson and Nadeem Sharifuddin. Some of these guys are long-time players with match histories that go back a ways (Goldblatt’s first pro tourney on record was in 2006), some we havn’t seen since the 2018 Worlds (Mehta represented India at the 2014 and 2018 IRF events), and some are making their pro tour debuts (like Sharifuddin). Interestingly, what looks like the entire Guatemalan national team is entered, and the qualifying rounds will include Edwin Galicia, Javier Martinez, Hanzel Martinez Perez, Jeovany Mendoza, Juan Salvatierra, and long-time veteran Christian Wer, all hailing from the Central American country. Its great to see so many great internationals in one place. Lets preview the draw. There’s such a huge draw that they needed three round of 128 matches, one of which features two of the traveling Guatemalans. That’s a bummer: fly all the way up here and have a rematch of every Tuesday night at the home club. – #9 Jose Diaz is the highest ranked player w/o a bye into the 16s, and for his trouble he has to play twice in qualifying; he’s rewarded at first with a crap-shoot against the winner of the Mendoza-Martinez all-Guatemalan play-in. – #17 Long-time Costa Rican vet Felipe Camacho gets a tough opener against mid-westerner Kyle Ulliman. Ulliman has played a couple of pro stops already this year but doesn’t have a break-through win yet and Camacho is a tough out. – #20 Eduardo Lalo Portillo faces off against long-time Guatemalan #1 Edwin Galicia in a tough opener for both. Galicia has been representing Guatemala at International Racquetball Federation – IRF events for 6 years running, while Lalo (the reigning 18U junior world champ) is coming off a disappointing 1st round exit at Federación Mexicana de Raquetbol Nationals last month. – #12 Jansen Allen (who has now fallen completely out of the top 10), has a tough 1st rounder against regular Guatemala international representative Juan Salvatierra in his quest to get back into the top 10. – #22 Maurice Miller faces off against Mauricio MoMo Zelada, a rematch of the final of the February Open final at the Wintergreen event in Laurel, MD. Zelada won 6,12 then and seems a good bet to advance again. – IRT regular Justus Benson is the unlucky first round match for reigning IRF World Champion Rodrigo Montoya, looking to make a splash and keep his IRT ranking on the rise. – #15 Adam Manilla gets a tough Mexican up and comer Jordy Alonso as his 1st round opponent. – #18 Robbie Robert Collins faces off against long-time Guatemalan international Christian Wer, who I first have playing for his country in 2004 and who was on the Worlds team in 2018. That’s a pretty long int’l career. – #10 David Horn has the unenviable task of facing off against one of the more unheralded Mexican players today in Eduardo Garay Rodriguez. Garay has wins over IRT top 10 players on his resume in the past couple of seasons and has the ability to win here too. – the #16/#17 match-up looks solid: Camacho vs Thomas Carter. A great test for both players; I sense the veteran Camacho advances to the main draw and a date with Kane. – #13 Jake Bredenbeck vs #20 Portillo: I like Portillo’s chances here against Bredenbeck, who has yet to get out of the 16s this season after multiple quarter-finals appearances in prior seasons and is coming off an upset loss in Pueblo to a guy who has never played a pro match. – #12 Allen over #21 Troy Warigon; the solid playing Allen should advance over part time IRT player Warigon here. – #11 Mario Mercado over Zelada: the all-DC Metro area match-up, with the two relative neighbors facing off for a chance at the 16s. Mercado has the edge but it wouldn’t surprise me if this went Zelada’s way. – Montoya vs Gerardo Franco Gonzalez; tough break for Franco, who runs into his countryman at this stage for the 2nd time in 3 months. He’s trying to build on the momentum of his run to the Mexican national quarters last month, but Montoya should advance here. – #15 Manilla vs #18 Collins: the very-rare lefty vs lefty match-up, likely a win for the up and coming Manilla. – #1 Kane Waselenchuk starts off his title quest against the veteran Camacho and cruises to a win. – the #8/#9 looks like a dog-fight: Diaz versus Sebastian Franco. After a solid start to the season, Franco has faltered, with two straight round of 16 exits and having missed Sioux Falls (for his Honeymoon; can’t fault him there). One of those early exits was at the hands of Diaz, who may very well do it again here. – #5 Parrilla vs #12 Allen: Andree has been on a tear, but Allen plays solid, consistent racquetball and may cause Parrilla some troubles here. – #4 Alejando Alex Landa vs Portillo: the newly crowned Mexican champ faces off against one of his country’s best young players; Landa should dominate this match based on playing styles. – #3 De La Rosa vs #14 Montoya; this is the match of the round. 3 vs 14 by seeds, but two of the best 5 players in the world by capabilities. They met in Sioux Falls and DLR destroyed Rodrigo 1,4. In fact, Montoya may be the reigning world champ, but DLR has beaten him 3 out of 4 times they’ve played in the past year. I think DLR advances and Montoya misses out on an opportunity to gain valuable IRT ranking points yet again due to the luck of the draw. – #6 Alvaro Beltran vs #11 Mercado; fresh off his surprise National finals appearance, Beltran runs into the mercurial Mercado (alliteration intended), who has beaten Alvaro in the past, but seems to be in a bit of a rut this season. Mercado has three one-and-done events this season and will have his work cut out for him to make it to this point. Alvaro advances. – #7 Samuel Murray vs #10 Horn; tough match for Murray here. Bobby beat Sam in April of 2018, but has three one-and-dones on the season and missed Sioux Falls b/c of injury. Horn did make the final of the Pueblo Shootout before getting waxed by Kane and seems to be healthy; can he outlast Murray here and put himself back on the winning ways? If he’s healthy, I think so. – #2 Rocky Carson vs #15 Manilla: these two havn’t played in years on the pro tour, and while Adam can put up a fight against top players he should fall at this gate. – #1 Kane over #9 Diaz. I’ll bet the versatile Diaz conjurs up some 209-magic and stays in rallies longer than expected, but Kane advances. – #4 Landa over #5 Parrilla: I like Landa here, despite the fact that Parrilla took him in their last meeting (2018 US Open). Landa played so solidly at Mexican Nationals, its hard to envision him losing to Parrilla’s game-style. – #6 Beltran takes out his doubles partner #3 DLR in a classic let-down game after DLR’s tough win over Montoya. They played in Portland in December, and Alvaro trounced him in two there, and I’m betting on a similar result here. Beltran is on a career renaissance this season and continues his stretch of solid play. – #2 Carson defeats Horn in a battle of contrasting pace of play styles. Carson will slow it down, while Horn tries to speed it up. Neither are happy with the referee at the end of the match. – #1 Kane defeats former #1 Landa, but Landa puts up a fight and makes the scores 15-11, 15-9 or so. If Landa is on and making shots, Kane needs to find a slightly higher gear to beat him, which he eventually does since he’s such a master at the end-game of matches. – #6 Beltran goes up against his long time rival #2 Carson for the third time this season and makes it 2 out of 3 with an upset win. In the final, Kane takes out Beltran with ease, but not before Alvaro plays his typical shooter’s delight game plan and makes Kane sweat for a while. Its worth noting that Alvaro is the last player to take a game off of Kane (the 2017 US Open) and still has the capability to run off a game even against a guy who is currently working on a streak of 64 straight games won in competition. There’s also a massive Pro doubles draw; a full 16 team draw. The #1 team is, as normal, DLR/Beltran, who just got upset at Mexico Nationals and will not have the opportunity to compete for 2019 IRF crowns. They’ll have to possibly work their way through 1/2 of the team that dethroned them in Montoya, playing here with Parrilla, who themselves have to get by the Columbian National #1 doubles team of Mercado & Franco. On the other side of the draw, the other “best doubles team in the world” in Kane & Ben Croft makes a rare appearance, seeded 6th. They likely face #3 seeds of Jake/Diaz for an excellent quarter final match before likely facing the excellent #2 seeded pairing of Landa & Murray in the semis. However, Landa/Murray may have to get past Rocky Carson, who plays pro doubles for the first time since Sept 2017 (!). He’s playing with Manilla for a nice little lefty-righty combo, perhaps a nod by Carson to help get ready for the upcoming WOR championships (where doubles is king). I like Kane/Croft over DLR/Beltran in the final, a slight reversal of how this match-up has gone the last couple of times … but also an indicator that DLR/Beltran may have some cracks in the armor after their upset in Chihuahua last month. Can’t wait for more IRT action! Kane drops into a non-Tier 1 and is the double winner. In addition to Mexican Nationals and High School Nationals, there were a couple of lower-tier IRT events this past weekend. This is a wrap-up of the best of them, the Pueblo Athletic Club Shoot out, a Tier 4 held in Pueblo, CO that featured a few familiar names and a couple of surprising results. Here’s a wrap-up of the event. Reminder: we don’t load non-tier 1 or higher events into the PRS database; this post is just a wrap-up as a fan of the game. I’ll pick up the draw reviews at the latter stages when the familiar pro names start playing each other. The draw featured 30 players, and its top 4 seeds were tour regulars that included #1 Kane Waselenchuk. David Horn, defending champ Jake Bredenbeck and Nick Riffel formed the top four seeds. This is notable to me because I can’t recall seeing Kane play in a non Tier-1 IRT tournament in .. well a long time. It may be b/c I don’t generally track non-Tier1 events. The 5th seed is the dangerous Erik Garcia, who beat touring pro Robert Collins before taking a game off of eventual champ Rocky Carson at the US Singles qualifier event in Tempe last month. The rest of the draw featured mostly local players, with a sprinkling of traveling players w/ enough IRT points to rate a seeding. 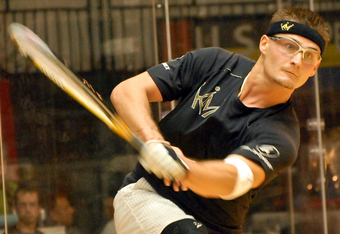 – Erik Garcia got a solid win over touring pro Nick Riffel in a tiebreaker in the 4/5 match. He earns a match against the King in the semis. I’d like to see Garcia play more pro events; he’s got some good results lately and I think he could make some noise on tour. – Complete unknown (to me) Ruben Baez ousted #3 seed Jake Bredenbeck 10,(5),5. I can’t find Baez playing any match in any format that the PRS database tracks, and he was seeded 27th in this event, traveling up from El Paso to play it. I saw bits and pieces of this match: Baez plays a control game, has a very effective lob serve, and was completely non-plussed by Jake’s power, re-killing power DTL shots and anticipating power-pinches. He earns a match-up against #2 seeded Horn in the semis for his efforts. – Waselenchuk took out Garcia 8,3. Garcia kept up with the champ briefly, but eventually fell in typical Kane dominance. – Horn took out the upstart Baez by the close scores of 13,14. Thanks to Matt Melster for streaming this one real-time; I watched part of this match as well to see how Baez matched-up with the different playing style of Horn, one which was much closer seemingly to his own … and as expected this was a very back-and-forth close match throughout. In the Final, Kane turned up the heat and cruised by Horn 7,0, showing his typical dominance that the rest of the IRT tour sees on a regular basis. My take-away here: it isn’t often that a player just shows up without any prior pro experience and plays so well against two of the top 20 players in the world. I hope to see more of Baez in the future. The Pueblo supporters were also blessed to have with them one of the two best doubles teams in the world. Kane teamed up with Ben Croft, and they’ve won more than a few major doubles titles in their day. They were the #1 seed, with Jake & Horn teaming up to be the #2 seeds and Riffel/Garcia being the #3 seeds. In the semis, Bredenbeck/Horn took out Riffel/Garcia 11-9, while Kane/Ben took out the team with the surprising Baez teamed with Daniel Bautista. In the Saturday night final, the #1 team did not disappoint and won in two 10,5 over the #2 seeds. Women’s Open: there was a small but solid Women’s open draw, with two touring LPRT pros in Carla Muñoz Montesinos and Adriana Riveros, joined in the draw by multi junior world champion Erika Manilla and periodic LPRT tour player Brenda Laime Jalil. In the semis, Manilla took out #1 seeded Munoz in two solid games 11,12, while Riveros advanced past Laime 6,13. In the Finals, Manilla made it two upsets in a row, downing Riveros 12,13. Great results for Manilla on the weekend, and I hope to see more of her on the pro tour going forward. – Mixed #1 Doubles: Vedant & Nikita Chauhan. A special shout-out to Vedant Chauhan; two titles and a final on the weekend. His sister Nikita Chauhan had a win and a final, and Roberts was a double-winner. The also played doubles and had team competitions; see the R2sports link for all the results. 420 entrants this year, a great number and a great job to all those organizers and sponsors who really worked to make this a fantastic event. Congrats to all. A quick reminder: we do not currently have High Schools or Intercollegiates in the database. This is just a wrap up as a fan of the game. The semis comprised the #1, #2, #5 and #6 seeds. – #5 seeded Lucas Shoemaker got a Injury win over #4 Andrew Gleason, the World runnerup in 14-U this past summer. Shoemaker made the quarters of US 18U this past summer before losing to the now-graduated Dane Elkins. 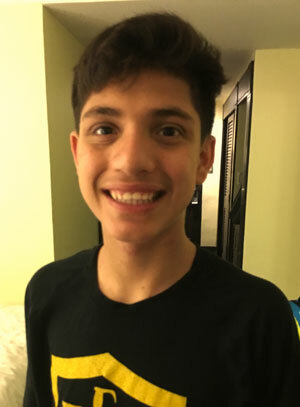 – #6 Vedant Chauhan, who owns 3 USA junior titles and is playing in his 14U season, advanced over #35 seed Robert Arellano, who had previously topped the #3 seed Cody Boucher in an earlier round. – Seven-time junior USA champ #1 Antonio Rojas topped #5 Shoemaker, in a rematch of last year’s USA 16U quarters, 6,13. – #6 Chauhan easily downed #2 seed Cayden Aikens 8,6. Aikens made the finals of USA 16U and the quarters of 16U worlds last year. Chauhan is having an excellent tournament and will be a tough out in the final. In the final, #1 Rojas ran away from Chauhan in game one and held on in game two for a two-game championship win 2,12. Rojas’ win means that the last six HS National boys champions hailed from California schools, a list that includes Rojas’ brother Mauro Rojas, and means that California prep players have now won 8 of the 32 historical HS national titles. The semis were the #1, #2, #4 and #6 Seeds. – #6 Arya Cyril upset #3 seeded Erin Slutzky, the finalist at 2018 16U, in an 11-9 tiebreaker. – #1 seed Annie Roberts, the reigning USA 16U champ and also the defending High School champ, topped #4 seed Alondra Canchola in a rematch of the 2018 16U quarters 3,8. – #2 seed Nikita Chauhan, who owns two US junior titles and who made the 18U final in 2018, topped #6 Cyril by the skin of her teeth: 14,(8),10. In the Final, #1 Seed Roberts defending her title, downing Chauhan 6,9 in the final. Robert’s titles continues dominance of this event by Oregon-based prep players: 11 of the 32 National HS titles have been won by players from Oregon. Roberts also becomes the first player to repeat as HS National champion since 4-time HS champ Lexi York held the title between 2012-2015. Click here for the R2sports home page for the event: http://www.r2sports.com/tourney/home.asp?TID=30505 . If you missed any of the matches, follow “RKT” on Facebook and they did a fantastic job of streaming throughout the weekend. And see below for links to the match reports for the events within Proracquetballstats.com. Lets review the event. Below by round are the matches I found interesting, including significant upsets, new champions and other noteworthy results. – Jaime Martell Neri topped Eduardo Lalo Portillo with a solid 10,7 win to avenge a h2h loss at Monterrey mid last year. – Alvaro Beltran cruised by Polo Polito Gutierrez 4,13 to avoid an early upset. – Gerardo Franco Gonzalez got a solid win, topping the hot Ernesto Ochoa 13,10 for the upset by seed, if perhaps not by talent. – #1 seed Daniel De La Rosa overcame a slow start to get past Rodolfo Esparza 12,8. – 2-time WRT champ #9 seed Alejandro Alex Cardona pasted Sebastian Fernandez 6,4 to advance to the quarters. This result surprised me; usually 8/9 match-ups are close, and Fernandez has a number of solid showings on tour lately while Cardona has stepped back a bit from touring … but this is a dominant win. – Former world #1 Alex Landa cruised by the over-seeded Christian Longoria9,6 to setup an excellent quarters match with Mar. – #14 Beltran, as under-seeded in this draw as Landa, was calm and collected while controlling his match against #3 Andree Parrilla, advancing in two games that probably weren’t as close as the scores suggest (8,13). – #22 seed Gerardo Franco beat #6 seed Javier Estrada 11-10 in a marathon match that featured the players diving on nearly every point. Two really solid wins in a row for Franco here over two solid players. – #10 seed Alan Natera Chavez saved match point against and advanced over #7 seeded Edson Martinez in another 2-hour marathon (9),14,6. – Reigning World Champ and #2 seed Rodrigo Montoya Solis raced past the veteran Javier Moreno 3,4. Quarter final seeds: #1, #2, #4 … then #9, #10, #12, #14, and #22. When 5 of your top 8 seeds fall, you know the seeds were out of whack. – #1 DLR had to work for it, topping #9 Cardona in a drawn-out tiebreaker. Final score: 12,(13),3. A solid tourney for Cardona, who has really limited his tourney playing schedule lately but looked great this weekend. – #14 Beltran played his typical controlled match and outlasted #22 Gerardo Franco 8,13. Beltran has really played well so far this event, playing smart, controlling racquetball and outlasting younger and (perhaps) better players. – In the upset of the event, #10 Natera topped #2 seed and presumptive favorite to return to the finals for the 3rd major Mexican Singles event in a row Rodrigo Montoya 9,9. This marks the second National singles finals in a row that Natera has made the semis in, both times as a drastic underdog and with significant wins over major players. If you’ve never heard of Natera it is understandable; he has yet to play in a single IRT event. Montoya’s loss means that Mexico will have a new singles representative in this year’s PanAms/Pan Am Games, and that Montoya will not have a chance to defend his 2018 World title in the next set of international events. So your semis are #1, … and #10, #12 and #14 seeds. Mexican Nats always seems to bring out the upsets. – #12 Landa was in control from the start and never seemed in jeopardy of losing to his long-time rival #1 De La Rosa, hitting shot after shot and advancing 11,10. Landa improves to 7-5 in all top-level competitions against DLR. Landa returns to the finals for the first time since 2017, and returns to the Mexican National team for the first time since he won the 2017 PARC tournament. – #14 Beltran dominated his semis match against upset-minded #10 Natera, advancing to his first Mexican final since 2015. This will also be the first time he has represented Mexico in singles since that 2015 year, where he made the quarters of PARC and the finals of the Pan Am Games. So the final ends up being the #12 and #14 seeds, ironically the two players I called out as being most under-seeded in this event in the preview. Coincidentally, if you’re wondering how i’d have seeded this draw, I’d have gone DLR, Montoya, Landa, Parrilla, Beltran, Mar, Cardona, Natera. Maybe we’d still have the same final, maybe not. The top three guys in Mexican racquetball all seem capable of beating each other week in, week out. In the Final, Landa controlled his long-time rival Beltran, dominating in the final for (what I believe is) his first Mexican National title 8,7. – #9 Ana Laura Flores raced past #8 seed Erin Rivera 11,3. – In her return to the court after 8 months off, #5 Jessica Leona Parrilla split two games with her fellow LPRT touring pro (and drastically under-seeded) Alexandra Herrera before running out of gas and falling in a tie-breaker 13,(11),0. – #6 Monste Montse Mejia got one of the best wins of her career, coming back from a game down to move past #3 Nancy Enriquez (10),4,6. So your semis seeds are #1, #2, #6 and #12. Not too bad, since the #12 seed probably should have been the #4 seed. – #1 Longoria waxed #12 Herrera 4,3. They’ve played 12 times (10 times on the LPRT) and Longoria has now won all 12. Longoria returns to the Mexican National team in search of extending her current IRF title record of 17 international titles. She’ll get two more shots in 2019. – #6 Mejia got her second major upset in a row, downing #2 Salas in relative ease 11,4. This was a rematch of last year’s quarters, a close Salas win, and now Mejia has earned her first Adult national team appearance. In the Final, Mejia shocked the racquetball world and took out the world #1 Longoria in two games 8,14. She accomplished the unique task of defeating the #1, #2 and #3 players in the draw on the weekend, and now holds simultaneously both the Adult and 18U Mexican National titles. A huge upset in the semis, when the #4 team of Landa/Cardona upset the reigning pro and world champion #1 seeded team of DLR/Beltran, knocking them out of the international events for 2019. On the other side, the #2 team of Montoya/Mar fought off the tough #3 team of Parrilla/Martinez to play for the National team berth. In the final: the two teams traded games before Montoya/Mar caught fire in the tie-breaker to win 11-0 and clinch their first national doubles title and berths in Columbia & Peru later this year. The semis went according to seeding, though the #2 team of Longoria/Salas was taken to tiebreaker by the young Rivera/Perez team before advancing. The #1 defending champs Herrera//Mejia fought off the #4 team of Parrilla/Enriquez 11,12 to advance to the final to defend their title and national team berth. In that final, Longoria/Salas got revenge for last year’s finals defeat and took out the #1 seeds 13,5 to clinch the IRF berths for 2019. That’s it. Thanks for reading, another fun event. DLR is your #1 seed and the favorite in both Singles and Doubles this weekend. This is the singular tournament (at least as far as I read the website) that will determine Mexico’s team that will play both the Pan Am Racquetball championships in Columbia in April and the Pan Am Games in Peru in August. Both singles finalists and the winning doubles team will represent the country. So this is a pretty big event for Mexican players. This is one of my favorite tourneys of the year to cover. 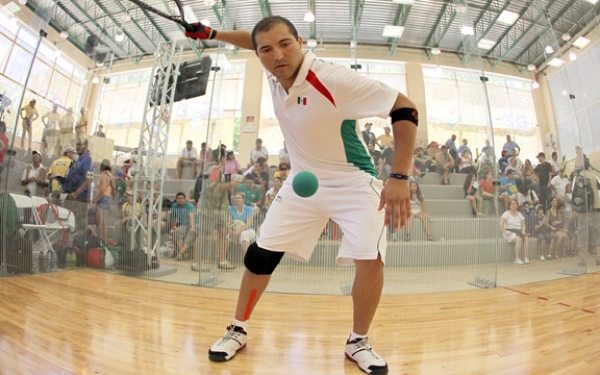 We generally get the full force of the current state of Mexican racquetball in one place, all competing to represent the country at future International Racquetball Federation – IRF events. It isn’t like International Racquetball Tour events, where several of the top Mexican players rarely play, and it isn’t like the World Racquetball Tour where the top Mexicans committed to the IRT cannot play. Its everybody. The Men’s draw features 34 players this year, and it is a who’s who of Mexican male singles players. The only men missing from my personal top 50 I see are Eduardo & Rodrigo Garay and Jordy Alonso. Even Javier Moreno came out of “retirement” to play the singles draw. The Women’s draw is similarly stacked; it features every LPRT touring professional ranked in the top 30. The big news is the return to the court of Jessica Leona Parrilla, who has been recovering from injury since damaging her knee ligaments last June. She’s back after “only” 8 months recovery, so I’d temper expectations, but she is playing doubles with her regular partner Nancy Enriquez (who she was on the court with competing when she injured herself). The seeding is more or less accurate, with a couple of oddities: why is Herrera, current ranked 3rd in the world, seeded 12th?? And, i’m not sure how Diana Aguilar is seeded 4th. But lets move on. – Right out of the gate, #1 seed Daniel De La Rosa gets a solid match, going up against accomplished junior Juan Loreto (if Loreto can win the play-in of course). – The best round of 32 match projects to be Eduardo Lalo Portillo vs Jaime Martell Neri. Both players are relatively under-seeded (13th and 20th) based on their accomplishments (world 18U junior reigning champ and current WRT #1). In talent rankings i’ve got these two neck and neck; this should be a really entertaining match. – Another too-early match-up of talented veterans is the 14/19 match-up between Alvaro Beltran and Polo Polito Gutierrez. This was the Mexican National singles FINAL in 2014, and now its a round of 32 match. They’ve met 7 times that I have in the databases, and Beltran has won every time. Polo has essentially retired from pro playing at this point, while Beltran continues to tour and make the back ends of IRT events. I’m going with Beltran here. – Ernesto Ochoa vs Gerardo Franco Gonzalez. Another excellent 1st round match-up between two talented players. I have Franco slightly higher in my personal rankings, but believe Ochoa can win this and advance based on his past results. This will be a dog-fight. – #8 Sebastian Fernandez vs #9 Alejandro Alex Cardona. Two-time WRT champ Cardona has really slowed down his tourney schedule lately, with just a handful of events in the last two years. Meanwhile Fernandez has rebounded from his 18U World junior finals loss to get some really solid wins on the IRT. I favor Fernandez slightly, though wouldn’t be surprised at all if Cardona went on a run. – #12 Alejandro Alex Landa faces #5 Christian Longoria, in a case where really the two seeds should have been switched. Longoria is a solid young player, but should prove no match for two-time IRT tourney winner Landa. – #4 Javier Mar vs #13 Portillo: Assuming Lalo gets by Martell, the enigmatic Mar awaits. Mar entered the 2018 Mexican Nationals as the defending champ and #1 seed … and was promptly beaten in the round of 32. In more recent events he played Kane Waselenchuk as tough as he’s been played lately, losing at the US Open 12,10 and won the 2019 Longhorn Open. Mar and Portillo have met a couple times in top-level events … but they’re long enough ago that they’re relatively meaningless. Portillo should give Mar a run for his money but should fall here. – #3 Andree Parrilla vs #14 Beltran; another too-early match-up of (arguably) two of the best six players in this draw. Parrilla has been on fire this season in the IRT, projecting to easily finish in the top 8. Beltran meanwhile keeps hanging on and is also holding onto that top 8 ranking. They’ve met 7 times in my database: Beltran holds the advantage 4-3 AND won their most recent meeting … but this seems like a Parrilla win. I sense that Beltran’s much more interested in winning the doubles at this event and may be distracted in singles. – #6 Javier Estrada vs #11 Ochoa; this could be an awesome match: I have these two neck and neck in my personal rankings. Ochoa has wins in the last year over Parrilla, Beltran and Mar, and was beating Montoya in Sonora when Montoya went down with injury. Estrada meanwhile has wins over Landa, Beltran, Cardona, and has played Montoya tough. Both players have the capability to win a stacked event … but only one can advance. Advantage slightly to Estrada here. – #10 Alan Natera Chavez vs #7 Edson Martinez; Natera came out of nowhere as the #32 seed in last year’s event to advance to the semis, beating Mar, Longoria and Franco along the way. Martinez was a semi finalist in this event in both 2014 and 2015, but has not come close to repeating that performance since. I give the edge to Natera here. – #2 Rodrigo Montoya Solis should advance easily over #18 Javier Moreno. – #1 DLR over #8 Fernandez: they play similar games … but DLR plays it a lot better right now. – #4 Mar vs #12 Landa: This is a rematch of the 2017 Mexican Men’s final, won by Mar in a tiebreaker 11-7. Its the only time i’ve got these two playing in the database. Since ascending to #1 on the IRT, Landa has struggled; in 5 IRT events this season he’s got two semis, two quarters and one round of 16 loss (to Montoya in a tough seeding match-up). Landa also has a recent history of getting upset early in these events: he lost in the 16s of this event last year to Martell, and in the 16s of the Worlds selection event last June to Estrada. I’m going with Mar here, but it’ll be a marathon. – #3 Parrilla takes out #6 Estrada; I like Estrada’s game, but don’t think he can match-up with the grinding capabilities of Parrilla. – #2 Montoya takes out #10 Natera. Same story; while I like where Natera’s game is, Montoya is one of the sport’s elites right now. – DLR over Mar: this would be a rematch of the 2016 Mexican Nationals final, a straight-forward two game win by DLR. Mar may play with more power, but DLR can and will out control the match throughout, and can match Mar shot for shot. For Mar to win this game, he needs to be more perfect than DLR typically is. – Montoya over Parrilla; these two have plenty of experience playing each other; they’re the same age, and battled all throughout juniors. On the adult/pro stage, this is a rematch of last year’s semis (a 2-game Montoya win). Montoya leads h2h over time and has won the last couple times they’ve played, and advances here. Final: DLR beats Montoya. A rematch of both the 2018 Mexican Nationals final (a Montoya win), the 2018 Mexican Worlds selection event (a DLR win), and more recently, the semis of the 2019 IRT Lewis Drug Pro-Am event (a DLR blow-out win), these two continue to show why they’re the top two seeds. The problem is … no matter who wins this final, both players advance to the international events, so sometimes we see players cruise through the final knowing they’ve guaranteed their national team spots. This could especially be the case here, since both of these players project to make the doubles finals and have the chance to double-represent the country. I think, when the chips are down, DLR is the better player and his on-the-court results generally prove it. Here’s a preview of the Women’s Singles Draw and matches to look for. – In the 8/9: two young players face off in Ana Laura Flores and Erin Rivera. Flores still has a year in 18U (I believe), while Rivera made the finals of Mexican 18U in 2018 in her last year of competition. When Rivera couldn’t travel to 2018 junior worlds, Flores took her place and made it to the semis. But I don’t have them ever having played in my records. I’ll go with Flores, based on her recent LPRT wins. – #5 Parrilla vs #12 Alexandria Herrera: poor seeding makes a semis-quality match-up happen here, even more unfortunate for Parrilla in her first event back. Herrera has gotten the better of Parrilla on the pro tour the last couple times they’ve played and I’ll favor her in this match as well. – #4 Diana Aguilar vs #13 Montserrat Perez: perhaps a reader can help here: how exactly is Aguilar seeded 4th here? I don’t have her entered into a Mexican National singles event since 2014. Is this a typo and should be Delia Aguilar? I’m not sure who wins this match: both players are young and seem to be in the same age group; they’ve met for the finals of multiple Mexican junior championships, always won by Aguilar, so I’ll give her the nod here. – #1 Paola Longoria faces the lefty Flores and should advance easily. – #12 Herrera should overpower the youngster Aguilar. – #3 Nancy Enriquez faces #6 Montse Mejia in an interesting battle of youth and experience. Mejia, the reigning 18u Mexican and junior world champ, has not played since her Nov 2018 worlds triumph. Meanwhile, Enriquez has been busy making the back ends of LPRT events. Mejia has shown she can take games off of the world’s best; can she string together a complete match against a tough player? I’ll give Enriquez the edge in a tiebreaker. – #2 Samantha Salas Solis faces off against long time adversary Susana Susy Acosta. This is a rematch of the semis of the 2016 Nationals, a Salas win then, and another in this event. – Longoria over Herrera: this is a rematch of last year’s semis too. They’ve met 11 times in all formats, all 11 Paola wins. – Salas over Enriquez: this would also be a rematch of last year’s semis. Enriquez does have some wins over Salas in their career (she topped Samantha for the 2005 Junior world title for example), but Salas has dominated otherwise. They’re also playing doubles in Chihuahua with all the best teams playing together. Here’s how I think they’ll end up. Men’s Doubles: 15 teams battling it out, but its hard not to go with 1 vs 2 again, in a rematch of last year’s Nationals final. The DLR/Beltran team is the best in the world and have proven it time and again (at the US Open, at Worlds, etc). The #2 seed Mar/Montoya is no slouch though, and they’ll both have their hands full with excellent #3 and #4 teams in Parrilla/Martinez and Landa/Cardona respectively. Women’s Doubles: the dominant team of Longoria/Salas was upset in the final of the 2018 worlds selection event and hence are the #2 seeds here. I wouldn’t count on another upset. I think Longoria/Salas take this draw, beating all comers. The interesting part may be their finals opponents: Parrilla/Enriquez were beating the #1 seeded Herrera/Mejia team in last year’s selection event before defaulting due to Parrilla’s injury; if Parrilla can compete, this may result in a new finals pair. 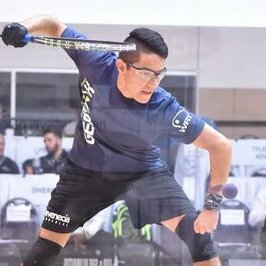 (Notable; there was not a 2018 National doubles final in the database for Mexico … the event was cancelled/not held during last year’s nationals). Phew, that’s it for the preview. Can’t wait to see how it unfolds. Andree Parrilla is part of two of the best family-pairs in the sport’s history. Here’s a fun one to discuss during this slight break in the rball tourney schedule; what’s the best Father/Son combo in our sports’ history? How about Husband/Wife or Brother/Sister? Here’s some opinions on each category from yours truly, with others that I considered. Did I forget someone? Am I totally wrong? Feel free to chime in. Only husband-wife team where both sides have won tour championships. Both retired way too soon; I would bet money Jack in particular could still be making the back end of pro tournaments if he was still playing (he was born in 1983, so hes younger right now than Kane/Rocky/Alvaro). There’s actually a slew of Racquetball playing couples with pro experience on both sides … i limited this to just the best and the top 3 honorable mentions. If you want to include the Pratts, Fowlers, Wachtels, Kirches, Hawthornes, or others, I wouldn’t blame you. Another category where there’s lots of honorable mentions; I left out the Paraisos, the Doyles, Kerrs, and Odegards in particular. I sense there’s a lot of younger players in the junior ranks that could qualify here too. Lots of good examples of brothers playing right now. Bredenbecks, Murrays, Kurzbards, Garays, Kellers, Acunas, etc. And there might be more in the Latin Americas that i’m not aware of, since there’s so many players with common surnames. – Michelle (Key) De La Rosa & Danielle (Key) Danielle Maddux. Am i missing any good sister acts? I could only really come up with a couple here. I thought of a few other father/son combos where at least we knew both sides played at a high level (examples: Schopiearys, Ullimans, Elkins). But I couldn’t think of a single instance of a top pro from our entire sport’s history who has a son playing at a high level right now. 6. Best Mother/Daughter: Malia Kamahoahoa Bailey and daughter Kelani Lawrence. Could also include the Keys here. Karen-Darold Key entered the very first US Open ladies pro draw when her daughters were just 8 and 5. 7. Father/Daughter: The Parrillas again: Fabian and Jessica. Father/Daughter combos are hard to come by … but not as hard as the last category. 8. Mother/Son: literally the only example I could find where a mother and son both had pro experience is … Goldie Hogan and Marty Hogan. That’s right: Marty’s mother entered a number of the very earliest Ladies pro draws in the early 70s at the same time her precocious son Marty was starting to win events as a teen-ager. So, did I miss anyone? Do we have any top pros with younger kids making their way up the junior ranks? Editor note: I mistakenly thought that Armando Landa was Alex’s father; they are brothers. This post has been edited following corrections.